This sleek but simple online slot from Quickspin puts a modern spin on the classic slot experience. There are no gimmicks or movie licenses here, just solid gaming with great features. Being a Quickspin title, it's got a nice layer of gloss and sheen to it, too. With five reels, three rows, and 20 paylines in play, there are good odds per spin. You can win up to 2,848 times your stake, as well as a 1,000 coin jackpot. 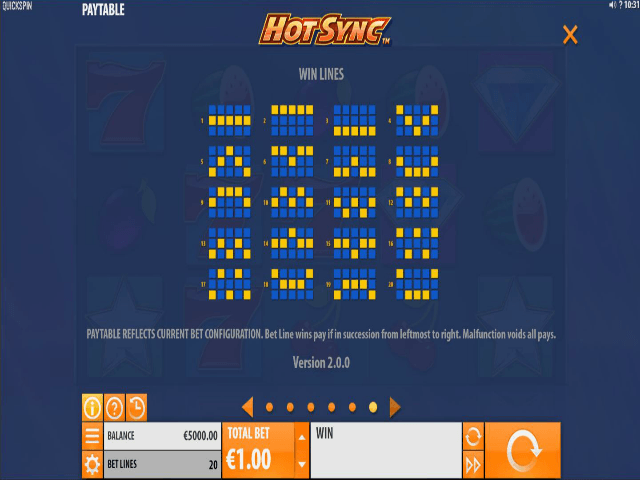 In short, if you're looking for a modern looking game with current mechanics, Hot Sync online slot delivers. 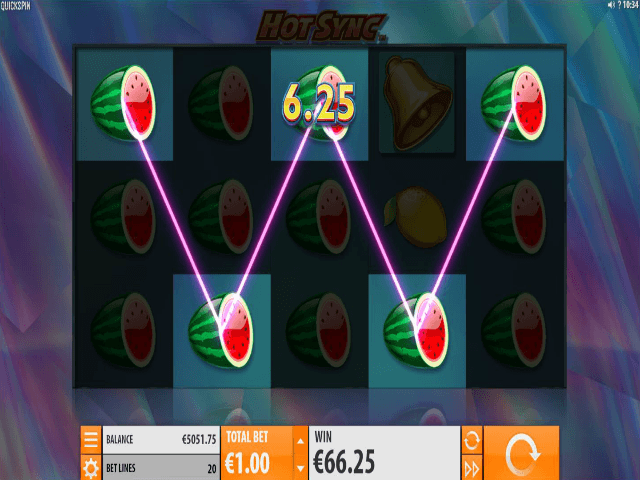 Hot Sync's graphics and accompanying sound are high quality, making it a real pleasure to play. The colour palette is bold and bright – enough to keep the symbols and important information clear – but is not overwhelming. The game can also be played on all platforms. Although it's a hark back to the classic slot machines of the arcades (which you can really see in the symbols), there are plenty of up to date gaming twists that give each spin plenty of possibilities. There are two bonus modes you can trigger, which we'll look at properly a little later. With five reels, three rows, and a total of 20 paylines, you've got plenty of chances with this slot. It's all about achieving that synchronicity of symbols. You'll find all the classic symbols, too: think cherries, melons, lucky 7s, diamonds, lemons, bells, plums, and lucky stars. There's also a scatter, a standard wild, and the Hot Sync Wild. Get any five symbols on a on a payline and you can win up to 1,000 coins. When it comes to stakes, it's nice and accessible, too. You can start small with 0.20 coins, or go in heavy with 100. 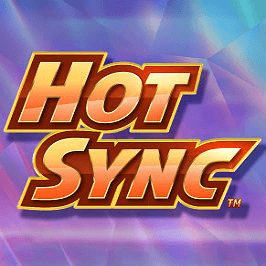 There are two bonus modes in Hot Sync. The first is the Hot Sync Respin. You can trigger this when you get two Hot Sync Wild symbols on the same spin (it'll work if you get more than two). Once activated the reels with the wild symbols on go 'hot'. This adds additional wilds to the reel. The reel with then respin until no more Hot Sync Wilds turn up. The Free Spins are activated when you get the bonus game scatter symbols on certain reels (two, three, and four, to be precise). 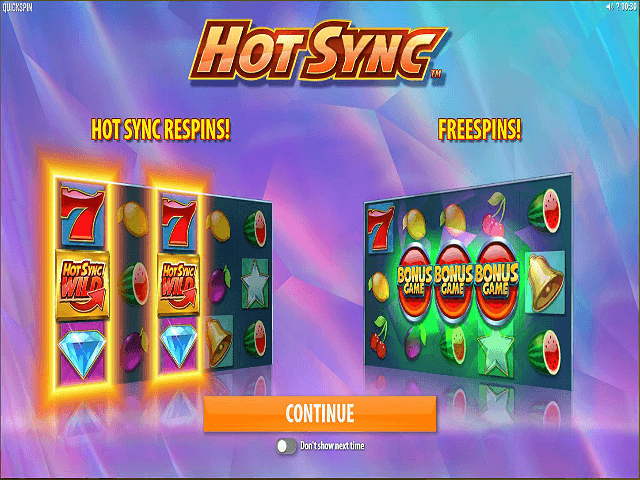 You get eight free spins as a result, and if you can get any Hot Sync Wilds, you can get the above bonus as well. This can end up leading to a big payout if you're lucky. Overall, Hot Sync is the perfect choice for gamers who want style sans distraction. The bonus modes aren't necessarily innovative, but they work, and when they do, you can win big. 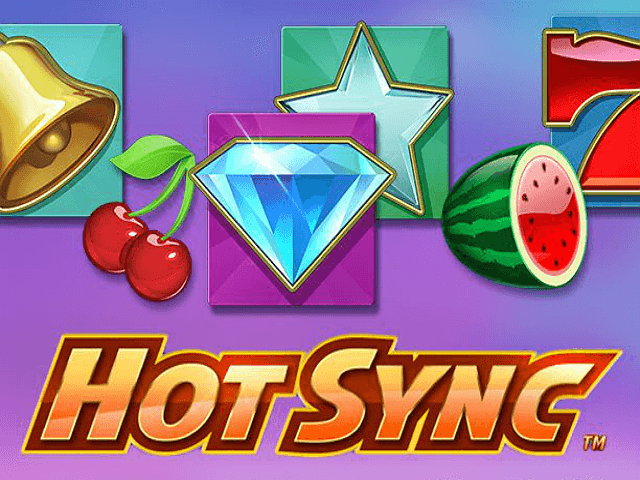 If you like Hot Sync - You'll like these slots too!